Got a friend you love more than a gorgeous summer’s day? Someone sweeter than a candy lollipop? Then you need this mini file: a treat for besties to share. Have fun with colourful stickers. Send cute notes to one another. Or pass round pretty invitation cards for your Best Friends Club. 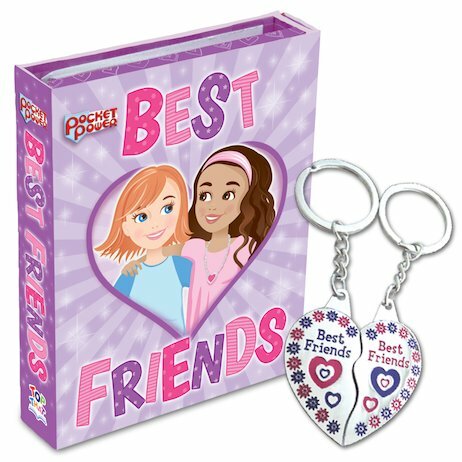 There are even two pretty heart charm keyrings for you and your BFF to share. Wear them apart to show that you belong together!